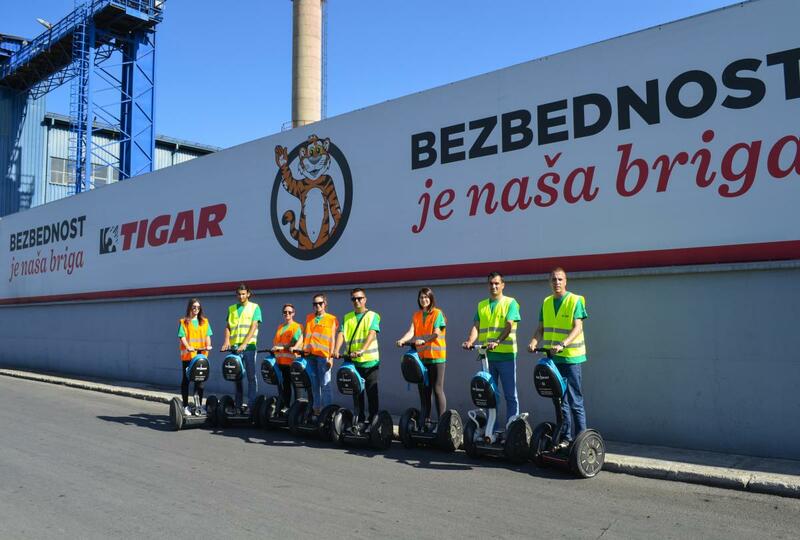 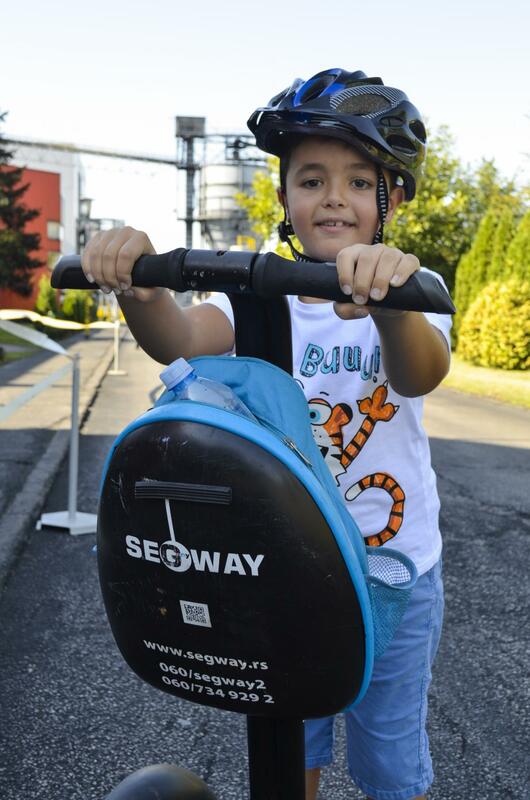 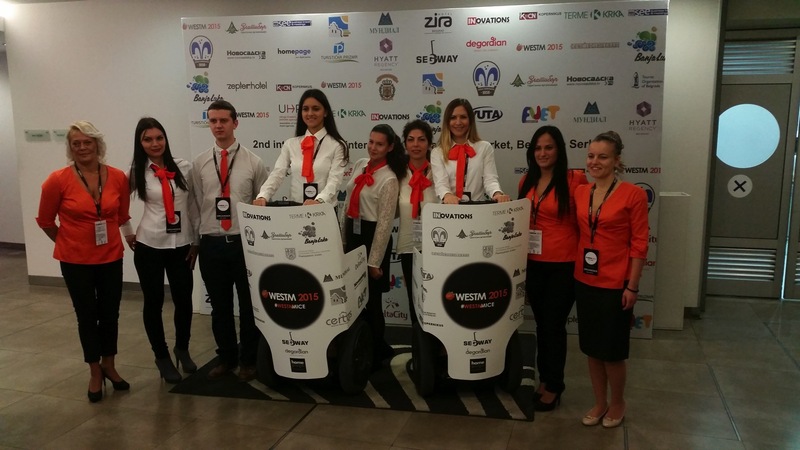 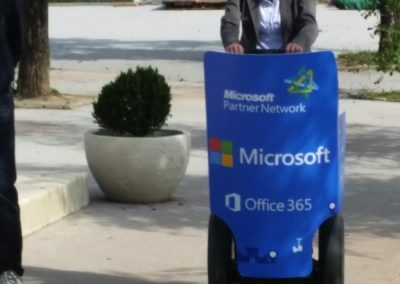 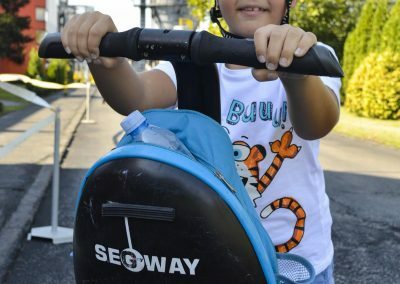 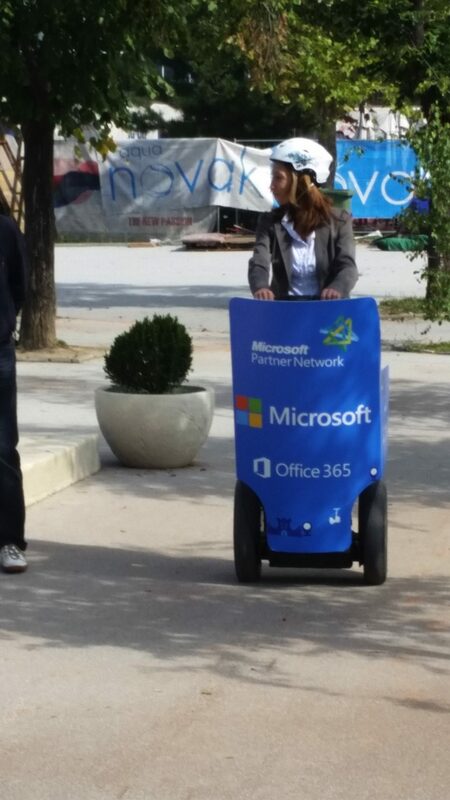 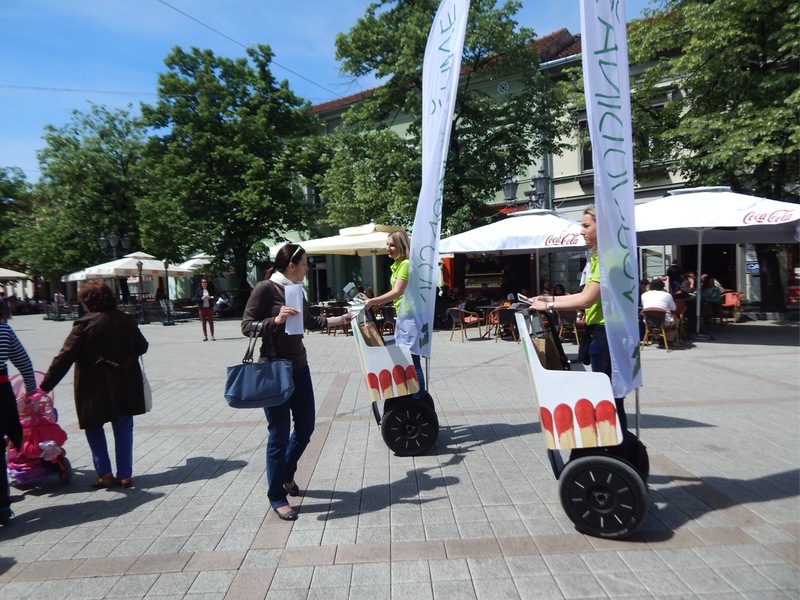 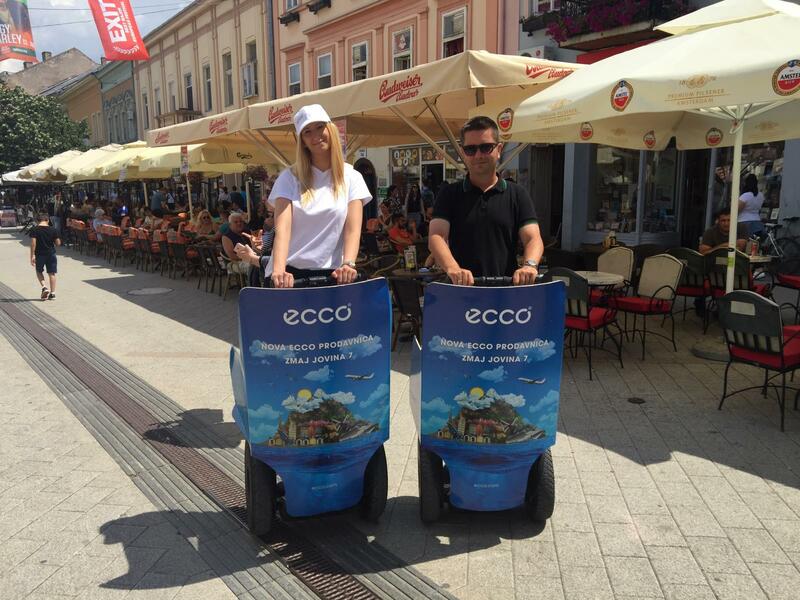 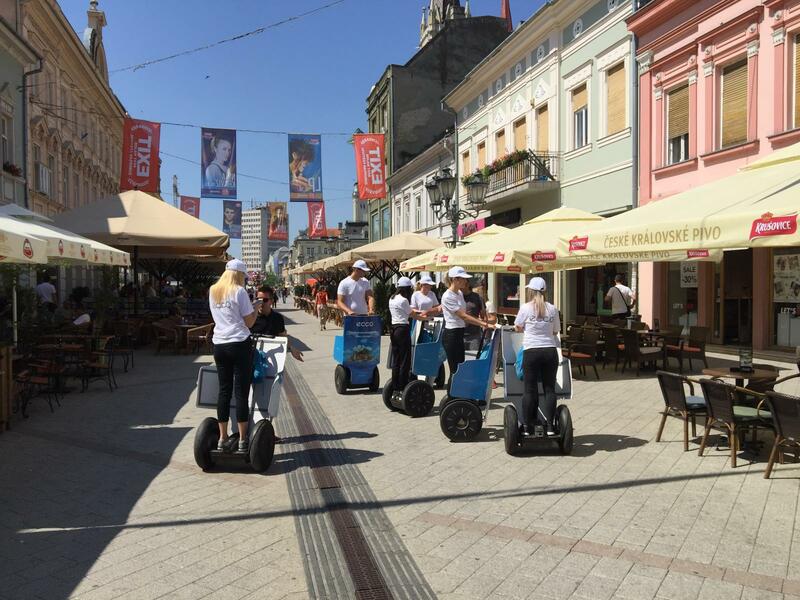 We take your name and logo straight to the streets using Segway vehicles! 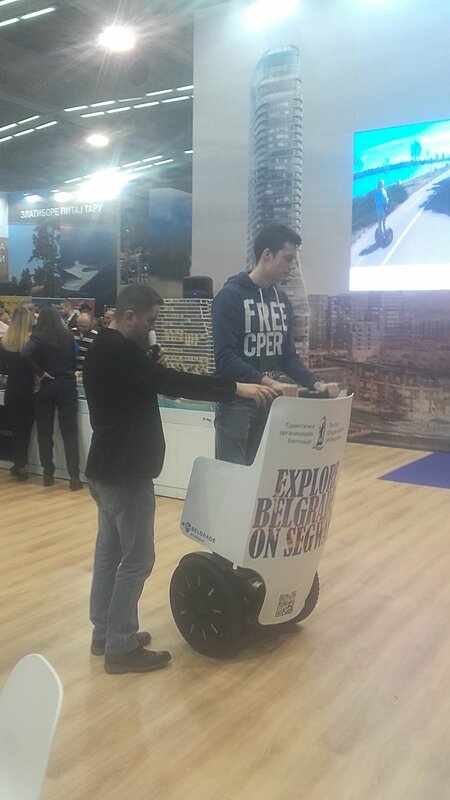 Segways are small, lightweight vehicles that can easily find their way through city crowds. 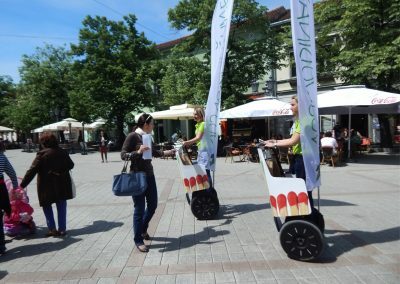 They are safe, utilize electric energy and most importantly – draw a lot of attention! 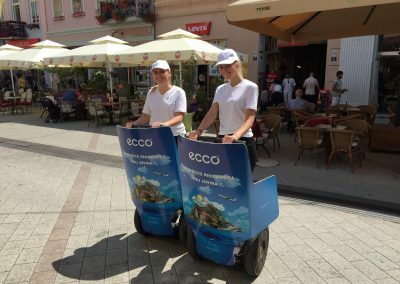 We will promote your company or brand name by mounting panels onto the vehicle which will then cruise the streets in previously planned routes. 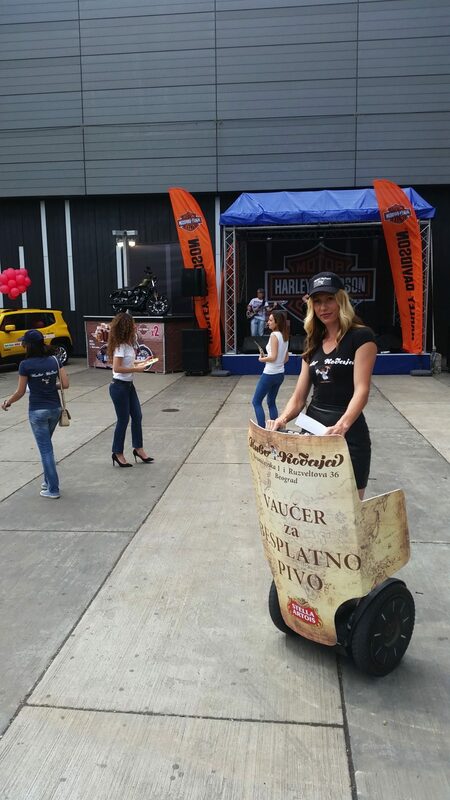 If you have other ideas or requests, we will gladly fulfill them to the best of our abilities. 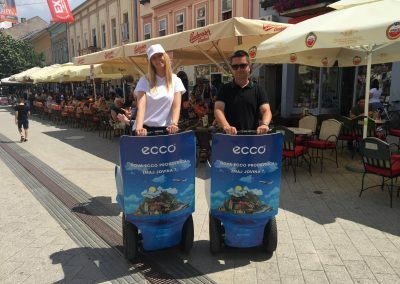 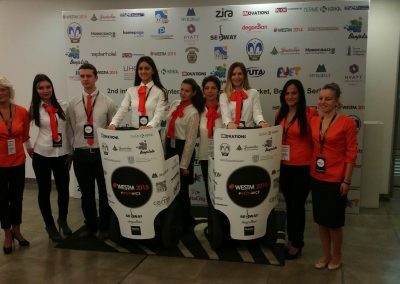 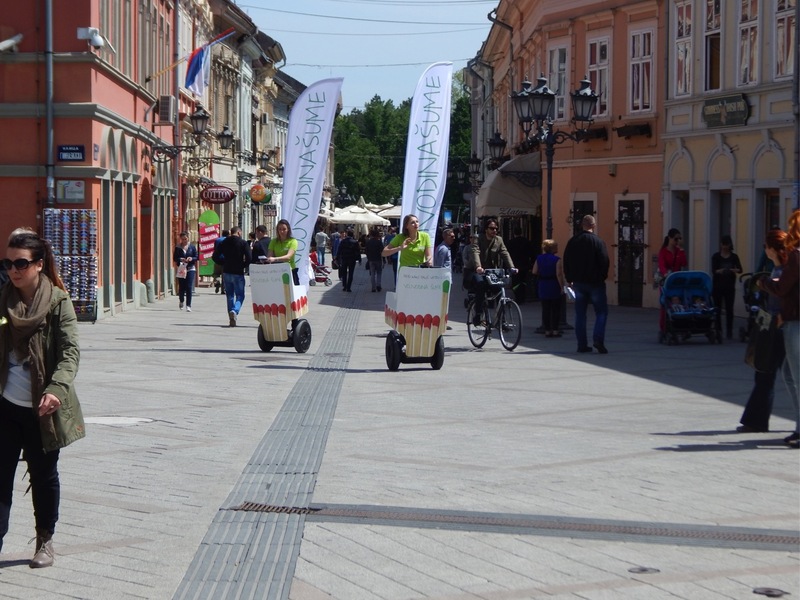 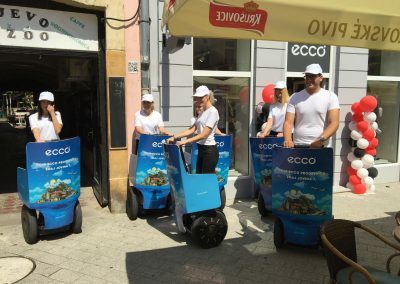 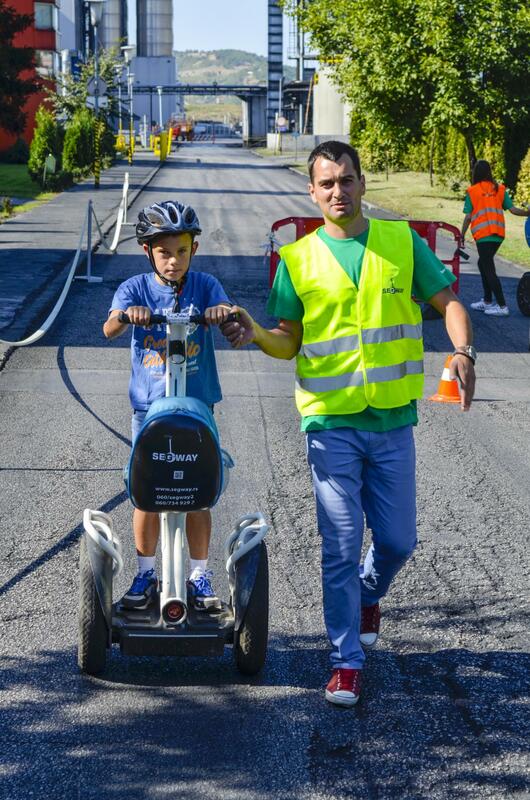 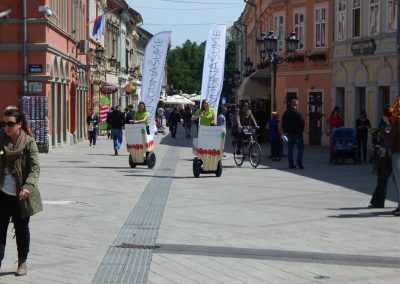 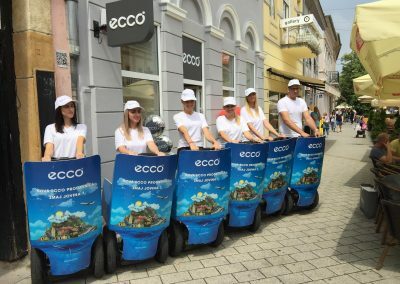 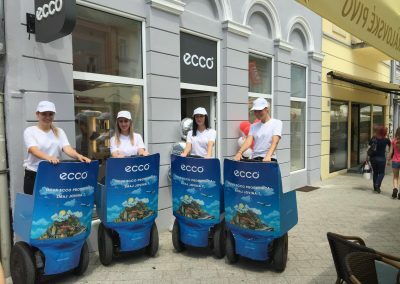 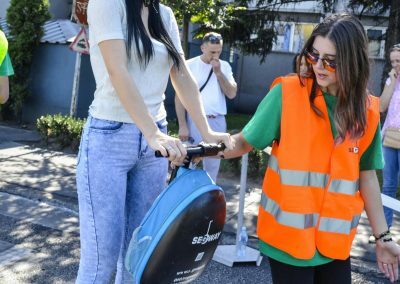 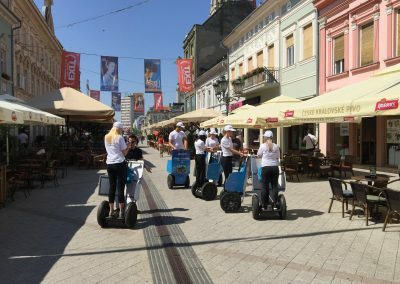 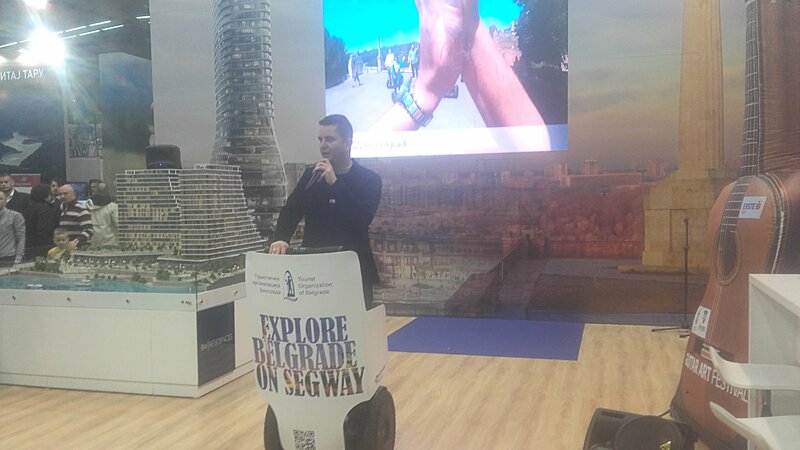 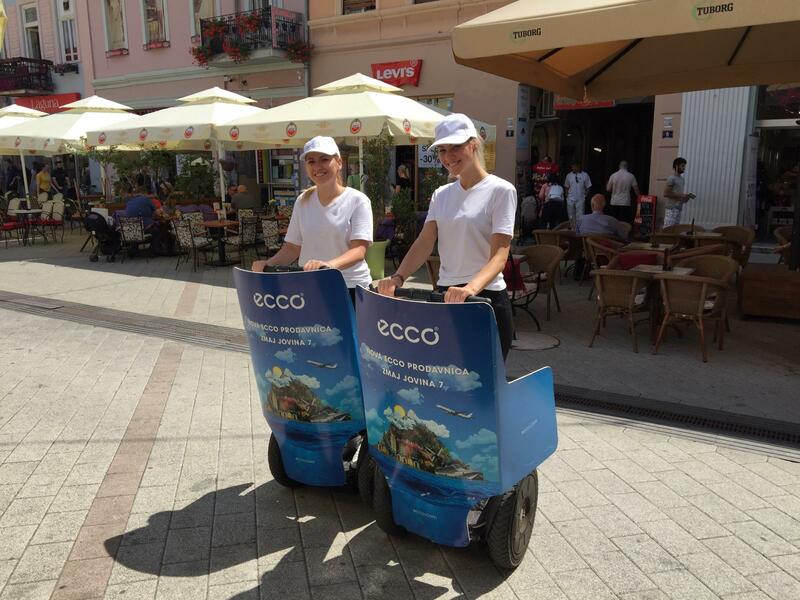 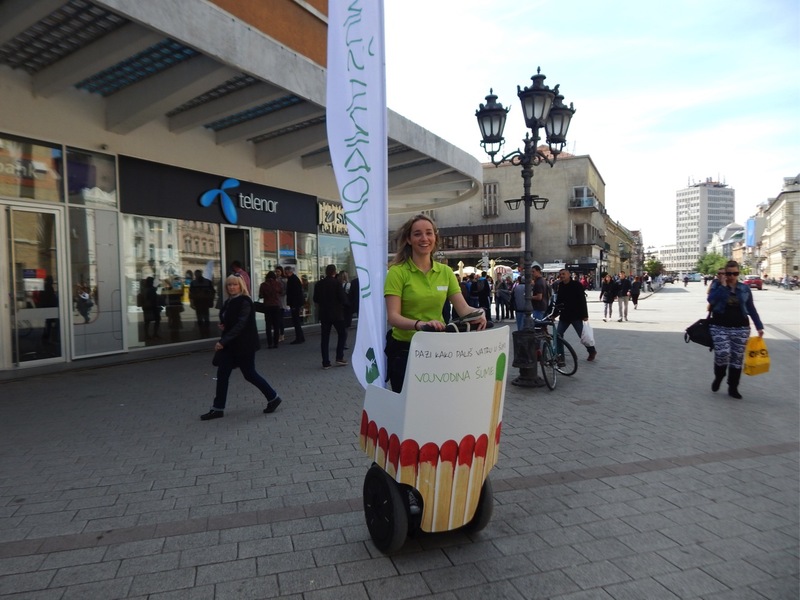 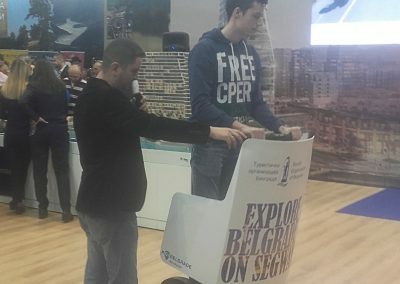 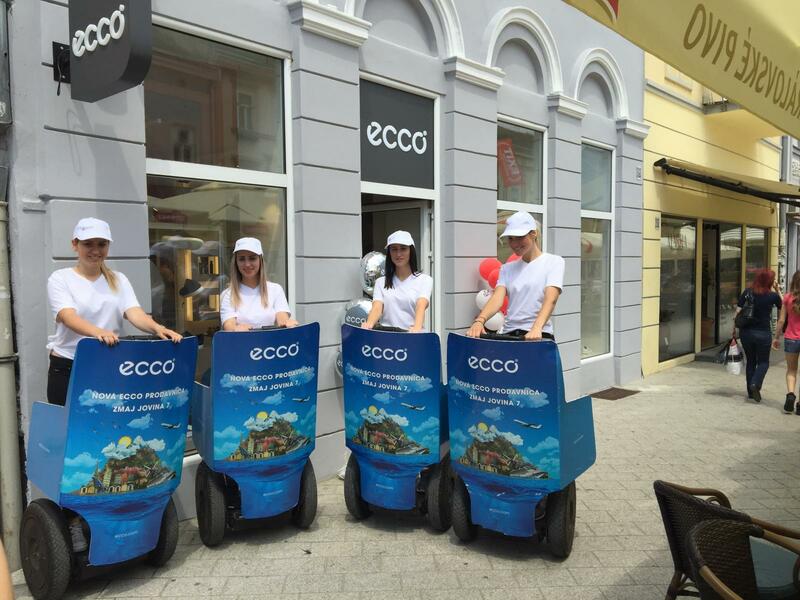 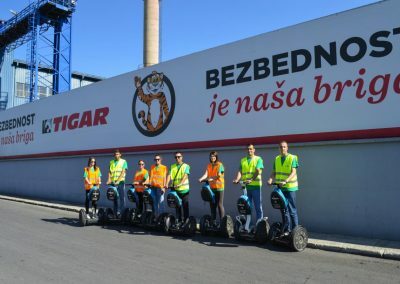 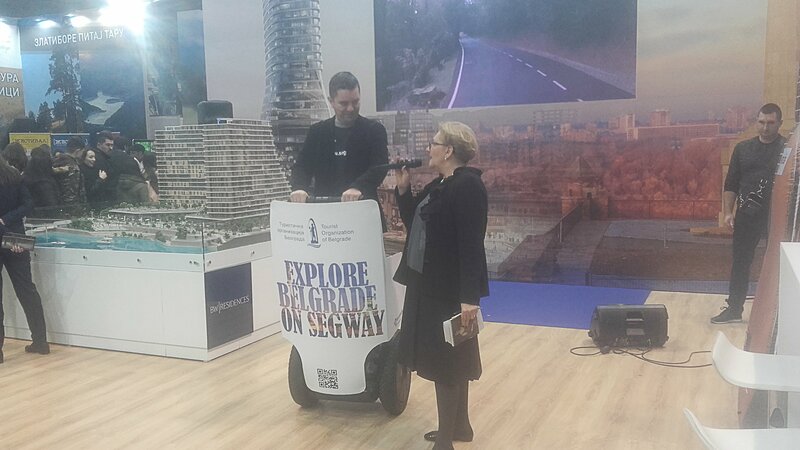 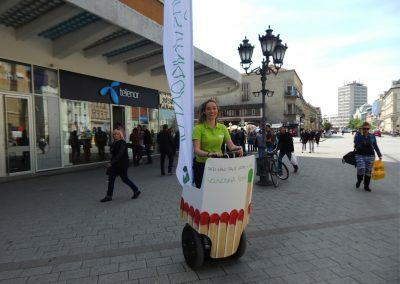 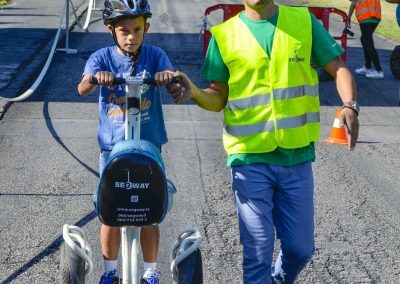 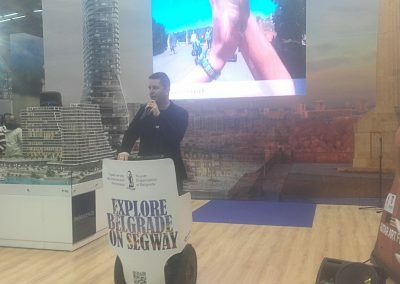 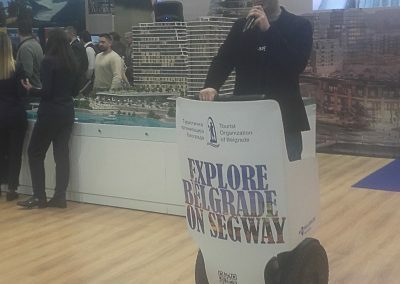 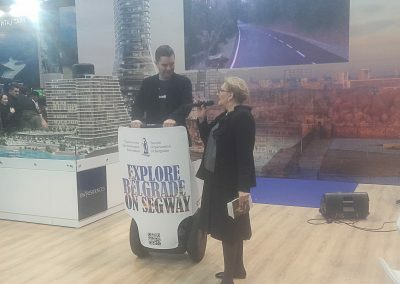 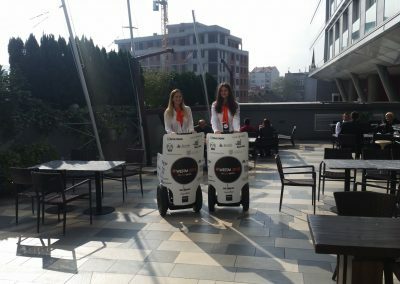 Because of their mobility and maneuverability in indoor areas, their quiet electrical engines which are easily charged on the go, Segway vehicles are ideal for promotions in any type of gatherings or manifestations such as fairs, malls, festivals or any event that draws in large crowds of people. 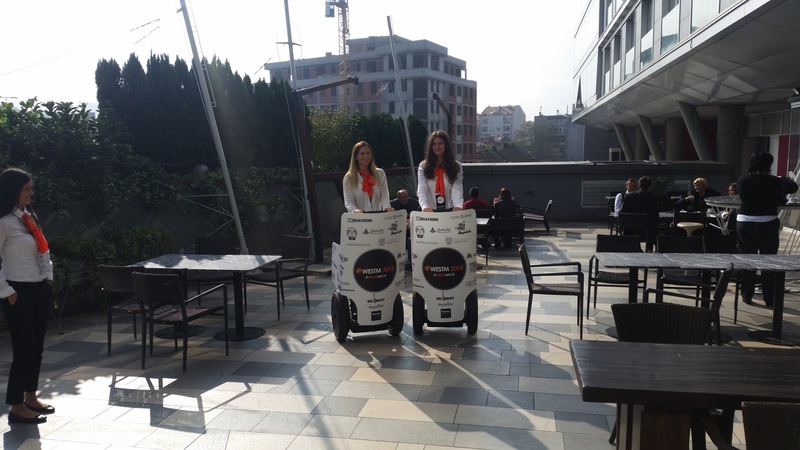 The exceptional safety of these vehicles as well as excellent maneuverability in limited spaces allows them to easily cruise crowded pedestrian areas with no risk to the driver or passersby. 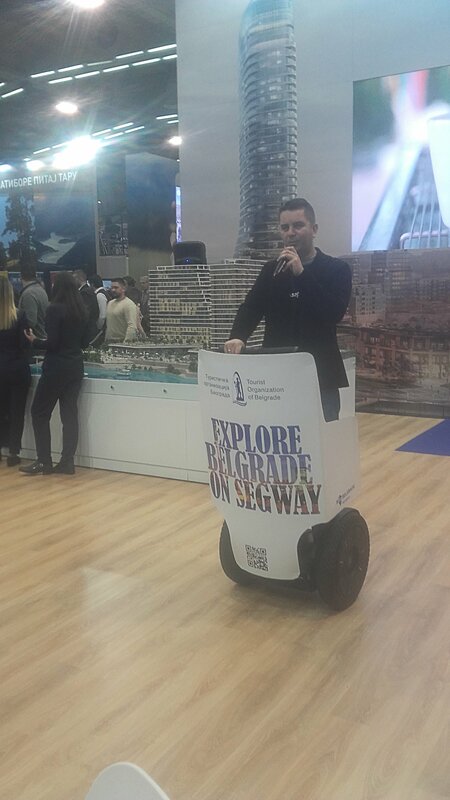 Being lightweight and portable, Segways can be adapted to almost any idea or plan you can come up with – we are always glad to listen to suggestions and find out about new ways to bring your name to your future clients.